MOSCOW, April 16. /TASS/. 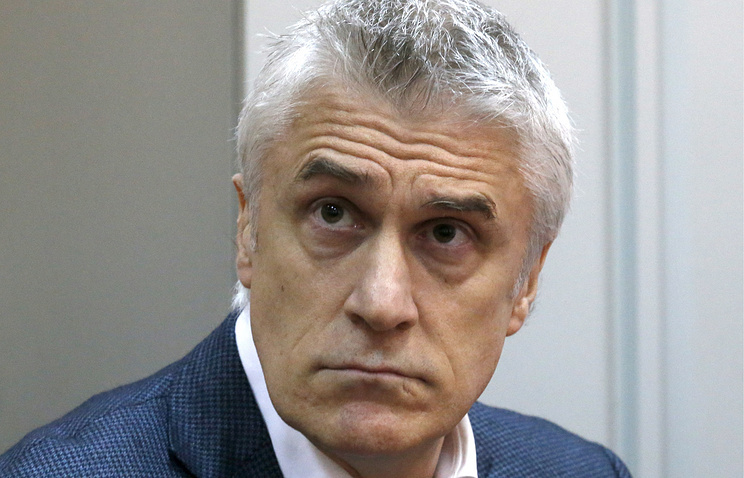 The lawyers of Michael Calvey, the founder of the Baring Vostok private equity firm, have appealed against a court decision to extend his house arrest, Spokesperson for Moscow’s Basmanny District Court Yunona Tsareva told TASS on Tuesday. “The Basmanny District Court has received an appeal in Michael Calvey’s case,” she said, adding that no date had been set for an appeal hearing. On April 12, the Basmanny District Court upheld the Russian Investigative Committee’s request and extended Calvey’s house arrest until July 14. The court earlier released Calvey from a detention center and placed him under house arrest. Under the court’s ruling, Calvey will stay in his apartment in downtown Moscow and will not be allowed to use any means of communication except for calling emergency services or talking to his lawyers. The court also released another defendant in the case, former head of the Vostochny Bank Alexei Kordichev, who pleaded guilty and gave testimony regarding other defendants. He was also placed under house arrest. On February 16, the Basmanny District Court arrested Calvey for two months in a 2.5 bln ruble ($38.2 mln) embezzlement case. According to the investigation, Calvey and his accomplices put together a scheme, where the First Collection Bureau, under their control, waived its right to a 59.9% stake in a Luxembourg-based company called the International Financial Technology Group to the Vostochny bank in order to pay it back for a 2.5 bln ruble debt. However, law enforcement agencies say the stake was actually worth 600,000 rubles ($9,100). Hey Buddy!, I found this information for you: "Calvey’s defense appeals against Moscow court’s decision to extend house arrest". Here is the website link: https://russophile.org/calveys-defense-appeals-against-moscow-courts-decision-to-extend-house-arrest/. Thank you.